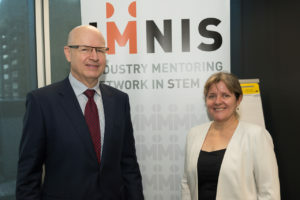 The Industry Mentoring Network in STEM (IMNIS) had a terrific morning celebrating visionary leadership in Perth on Tuesday, 7th August. 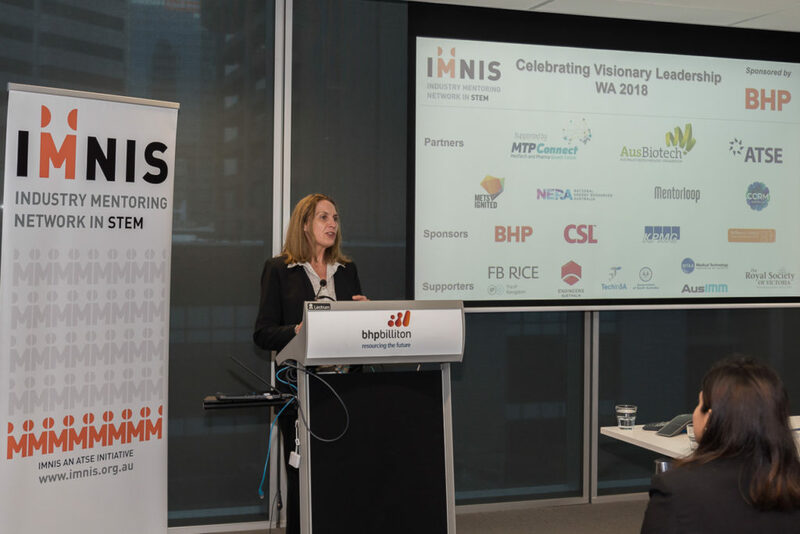 With standing-room only, this event celebrated the close of the 2017 Energy-Minerals program in WA and the opening of the 2018 IMNIS Programs – including for the first time both the MedTech-Pharma and Energy-Minerals programs in WA. 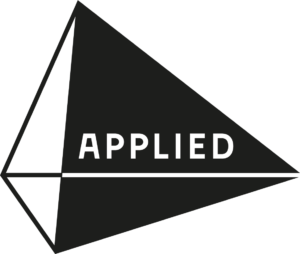 IMNIS is a flagship initiative of the Australian Academy of Technology and Engineering which has grown to over 200 partnerships (400+ participants) in WA, SA, VIC, NSW and QLD in its first year, and it is now on offer around Australia. Member organisations in WA are The University of Western Australia, Murdoch University, and Curtin University, including the Perkins Institute and the Telethon Kids. In the next year it is expected to reach over 300 partnerships (600+ participants). 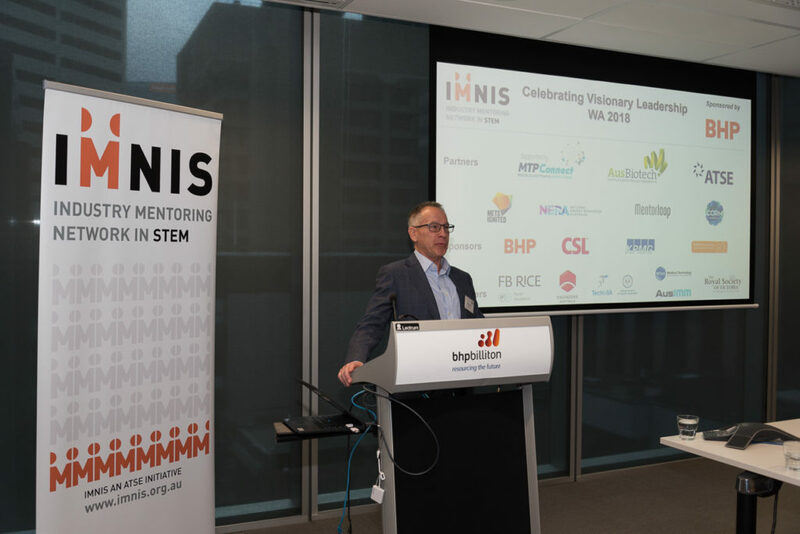 Esteemed Keynote speaker Ron Douglas, Executive VP of Global Project Delivery for Ausenco and strongly committed IMNIS mentor in QLD, shared his perspectives on mentoring and visionary leadership. In addition to big ideas, and inspiring and motivating others, Ron said visionary leadership “includes hard work, tenacity, failure, and hoping you won’t stuff it up”. Ron also urged all in the room to have a team of mentors. Dr Dan Grant, CEO of our Partner organisation MTPConnect, was proud to announce MTPConnect will continue to fund IMNIS as it grows and develops over the next two years, until the end of 2020. 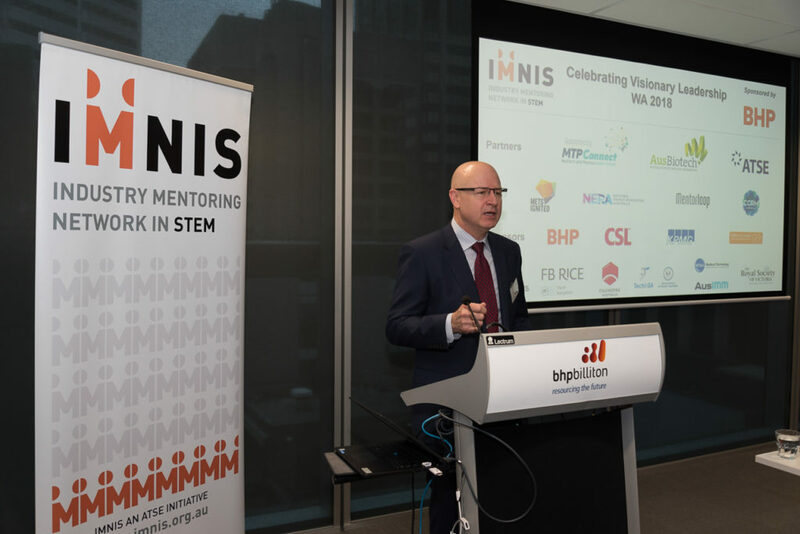 IMNIS will use these funds to help expand its existing programs, service regional and rural Australia, explore virtual mentoring options, and establish its Alumni program. Our thanks to both MTPConnect and BHP for this tremendous investment in the professional development of Australia’s future leaders in science, technology, engineering and mathematics (STEM). A highlight of this event was the panel of 2017 IMNIS Mentors and Mentees. Industry leaders Dr Hema Wadhwa, Engineering specialist at INTECSEA, and Andrew Woodhams, Process Engineer and Consultant, together with their mentees, PhD students Manuel Herduin (The University of Western Australia) and Sangita Bista (Murdoch University), discussed the value of mentoring, the unexpected ripple effects, the challenges of kick-starting a mentoring partnership, and their top tips and advice. Hema encouraged mentees to make the most of having an industry mentor by carefully considering what they want to learn, and Andrew urged everyone to practice their pitch and put themselves out there. 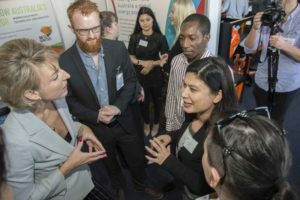 Sangita said she learnt how to be more strategic in her networking, while Manuel said he was much better informed about the career opportunities in industry which gave him hope for the future. 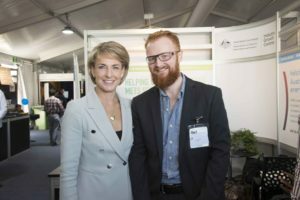 The benefits of these successful IMNIS mentoring partnerships were clearly evident when Manuel and Sangita met two Federal Ministers at the Queensland Mining Expo in Mackay recently. Both readily communicated their research and confidently networked with a suite of industry leaders. 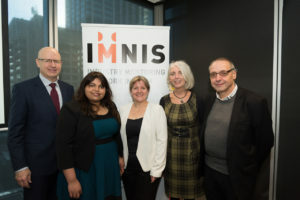 Dr Claretta DSouza, IMNIS MedTech-Pharma Program Coordinator and National Projects Manager at our Partner organisation AusBiotech, briefly reviewed the IMNIS Guidelines. 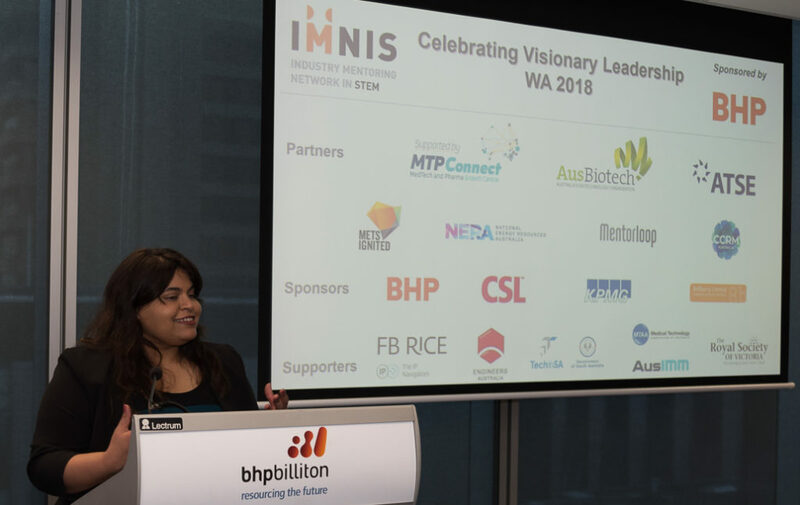 Dr DSouza is alumni of the IMNIS MedTech-Pharma pilot in Victoria, and she emphasised to all mentees that they must take the initiative to set goals, take notes, track their progress, and drive the mentoring partnership. 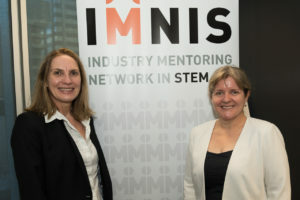 IMNIS is a national flagship initiative of the Australian Academy of Technology and Engineering and the goal is to develop a new generation of PhD graduates who can communicate and engage with industry, network across professional sectors, kick-start collaborations and understand their career options. Learn more at www.imnis.org.au. Follow us on Twitter, Facebook and LinkedIn.